BANGKOK, THAILAND – The Asia Climate Change Consortium (ACCC) recognizes the urgency of the UNFCCC Bangkok intersessional negotiations because of Asia’s increasing risk to climate change-enhanced events which have taken so many lives and destroyed countless livelihoods. The frequency, severity, and impact of these hazards are a glimpse into a more extreme, unpredictable future in the absence of a strong set of implementing guidelines for the Paris Agreement. 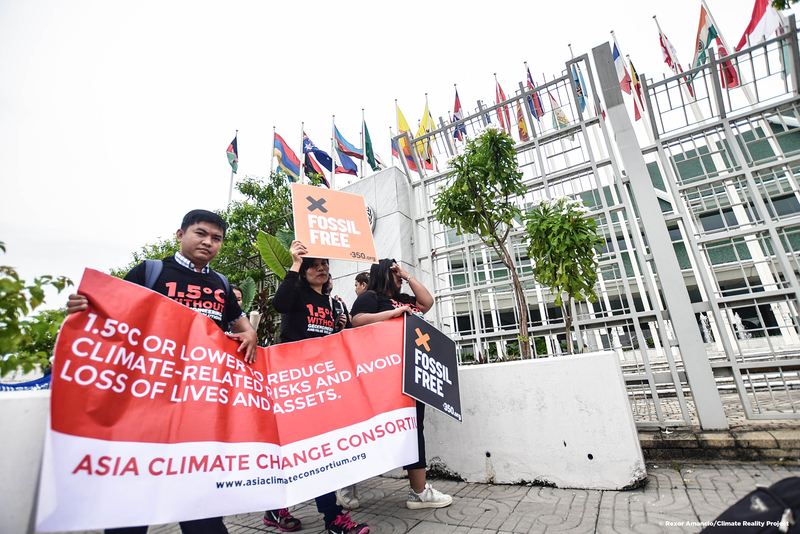 ACCC, an advocacy group of organizations and networks which aims to make the Asian voice better heard in international negotiations engages in climate advocacy to present policy recommendations informed by robust science. 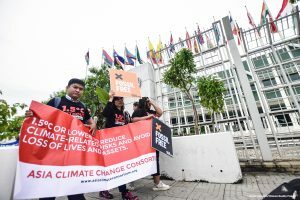 The group appeals to Parties to uphold the principles of climate justice in the crafting of the Paris Agreement Work Program, and inspire greater ambition in climate action in all countries, in order to achieve its goals and targets. The climate change conference currently being held in Bangkok is a critical step towards the creation of the “Paris Agreement rulebook”.ff With the deadline at COP 24 in Katowice, Poland rapidly approaching, negotiators are working to generate a legal text outlining the implementing guidelines for operationalizing the landmark treaty. 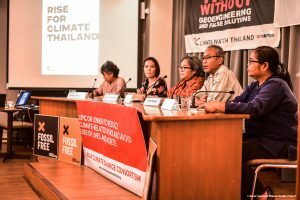 “The Paris Agreement Work Program should be informed by the principles of climate justice, human rights, common but differentiated responsibilities, and respective capabilities (CBDR), equity and fair-shares in order to genuinely meet the goals of the Paris Agreement, as well as the Sendai Framework on Disaster Risk Reduction and Sustainable Development Goals,” said Sey Peou of the NGO Forum on Cambodia, co-coordinator of ACCC and head of ACCC delegation to the Intersessional. The group also called for the Paris rulebook to facilitate the planning, implementation, and review of ambitious mitigation targets necessary to limit temperature increase to 1.5 degrees Celsius or lower, as well as facilitate adaptation, risk management, resilience measures to avert loss and damage. The “Paris rulebook” must be applicable to all Parties and flexible enough to allow developing countries to act within their capacities. For more information, contact ACCC Secretariat Voltaire Alferez: vpalferez@gmail.com or visit www.asiaclimateconsortium.org.